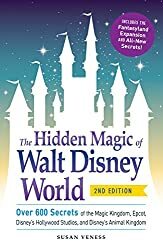 Subscribe to the WDWCelebrations.com Newsletter using the form below. Your personal information will be kept private and used only to contact you with information related to WDWCelebrations.com and our events. It will never be sold or disclosed to third parties. You will always have the opportunity to unsubscribe from our mailing list. Have you attended any previous WDWCelebrations Events?